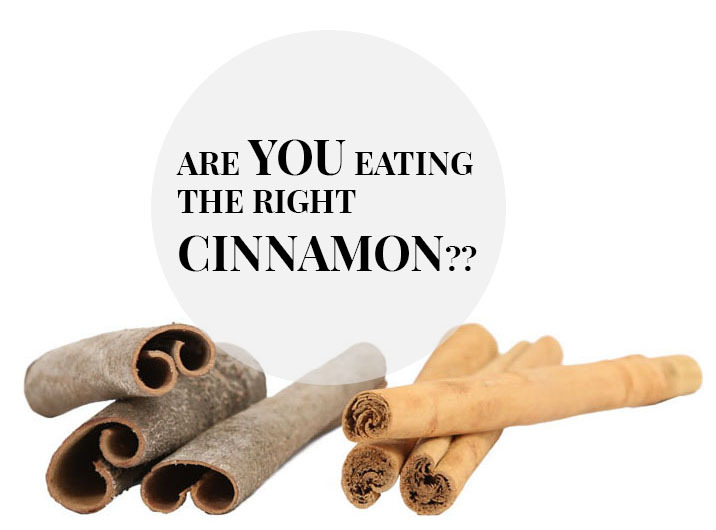 Cinnamon is mainly divided into two categories. Ceylon Cinnamon and Cassia Cinnamon. 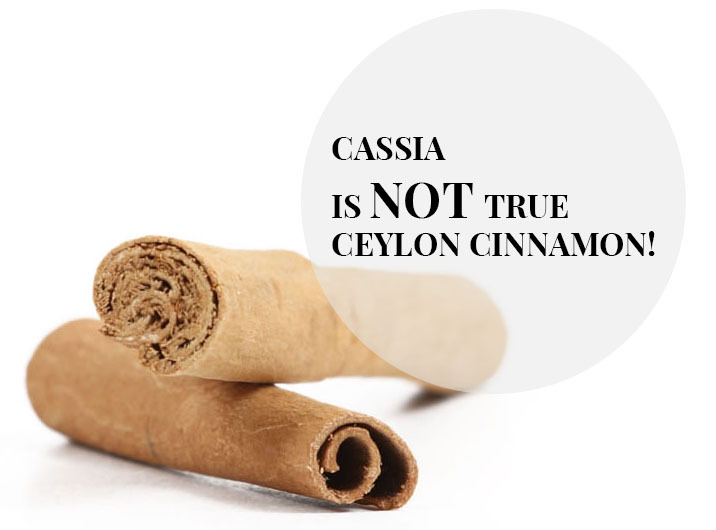 Cassia Cinnamon is easily confused with True Ceylon Cinnamon if you don’t know the difference between the two. Cassia Cinnamon is a cheaper substitute for Ceylon Cinnamon. Although similar in certain aspects these two distant relatives are from two entirely different species with significant differences in appearance, physical and chemical properties. Cassia Cinnamon also known as Cinnamomum Cassia is an aromatic bark, similar to True Ceylon Cinnamon, but differing in Coumarin levels, strength, physical and chemical properties. Cassia bark is darker, thicker and coarser, and the corky outer bark is often left on. The outer surface is rough and grayish brown, the inside bark is smoother and reddish-brown. The Cassia Cinnamon mainly originates from China, Indonesia, and Vietnam and is popular because of its low cost. Cassia Cinnamon is simply a thick single layer of bark naturally curled into a stick. Thereby, it is relatively inexpensive as it does not require the care of processing needed for Ceylon cinnamon. Cassia Cinnamon has an over powering taste and aroma and contains high levels of Coumarin! 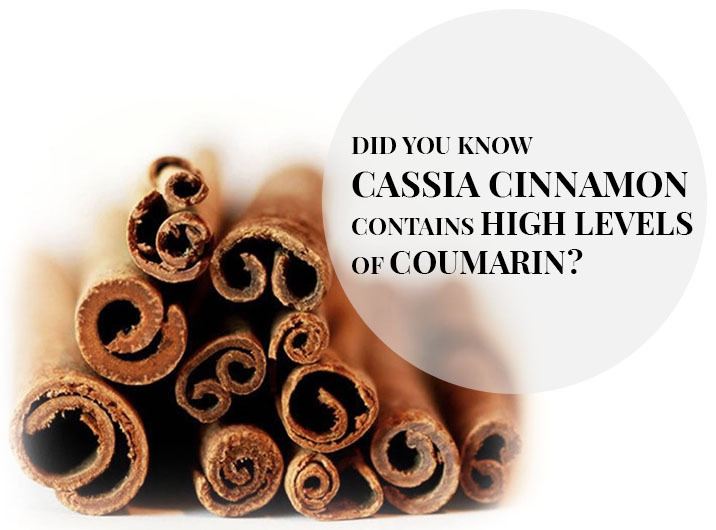 Coumarin is a phytochemical with hepatotoxic and carcinogenic properties naturally existing in abundance in Cassia Cinnamon and is an anti-coagulant of the blood. Coumarin has also been shown to be toxic to the liver and kidneys, and it is also carcinogenic, which negates any health benefits of Cassia cinnamon.